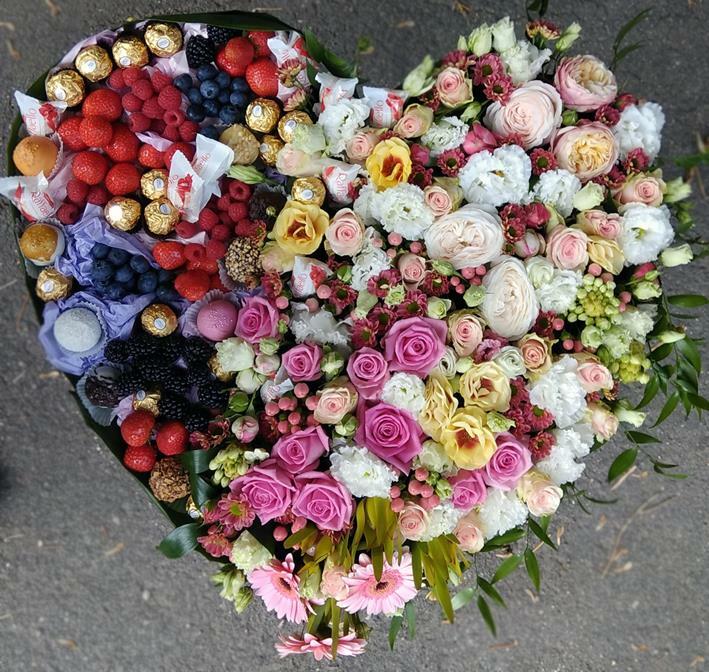 Gorgeous heart of flowers, chocolate and berries. Contains exquisite flowers, chocolates Ferrero and Raffaello (and others), as well as a variety of berries. Author's work of the florist. Please place an order for this composition in advance. In Moscow only.